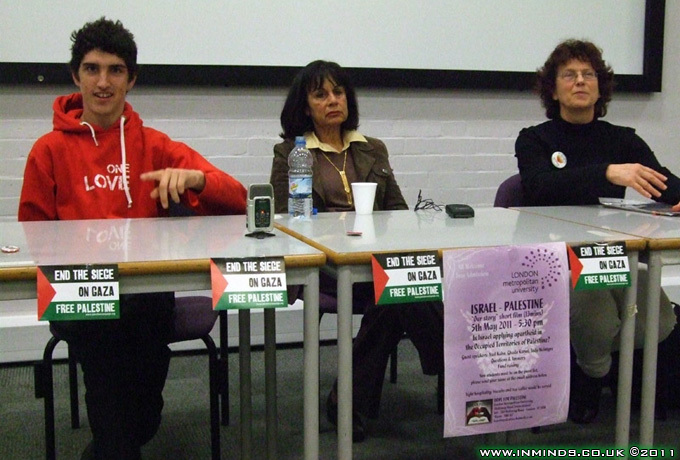 On 5th May 2011, the newly formed London Metropolitan University Palestinian Society - 'Hope for Palestine' launched its inaugural event titled "Is Israel applying apartheid in the Occupied territories of Palestine ?". A very well organised evening with great speakers provided an impressive launch for this promising student society. 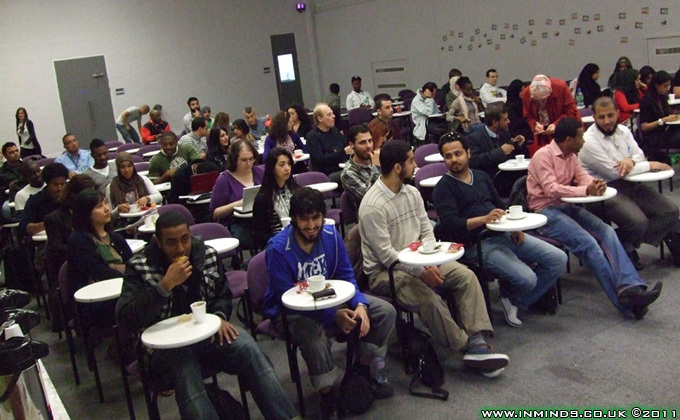 The president of the society, Yassine Benlatreche, chaired the event. The evening kicked of with a short 14min documentary on Palestine - Our Story by Dr. Mustafa Barghouti which set the frame for the talks that followed. 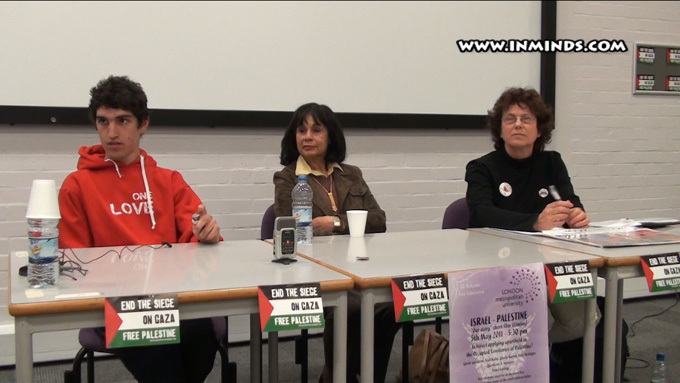 The panel of speakers consisted of Yael Kahn, Jody McIntyre and Ghada Karmi. 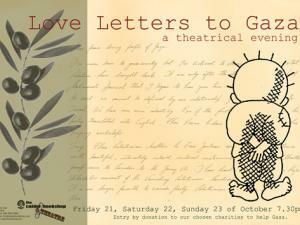 A full video of the event is provided below. The key note speech was by Yael Kahn. 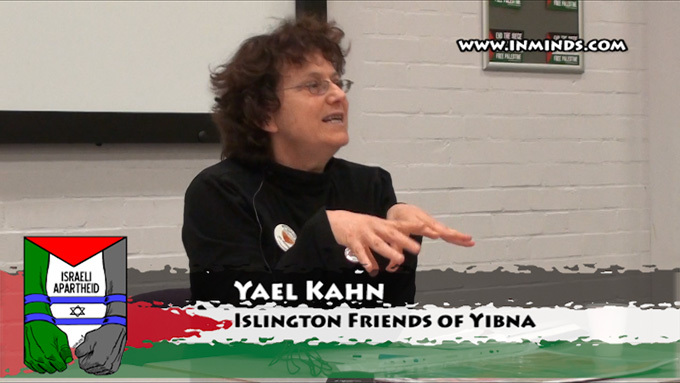 Yael Kahn is an Israeli activist who moved to London in 1991, because she opposed Israeli apartheid. 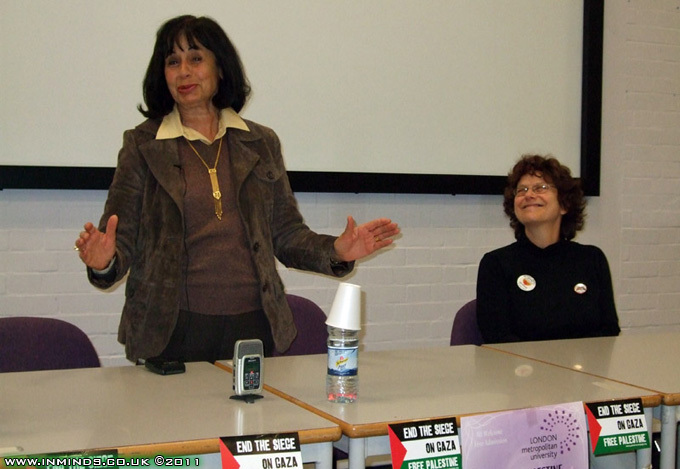 In the UK she founded "Islington friends of Yibna", in solidarity with Palestinians who were ethnically cleansed from their village of Yibna in 1948 when Israel was created. 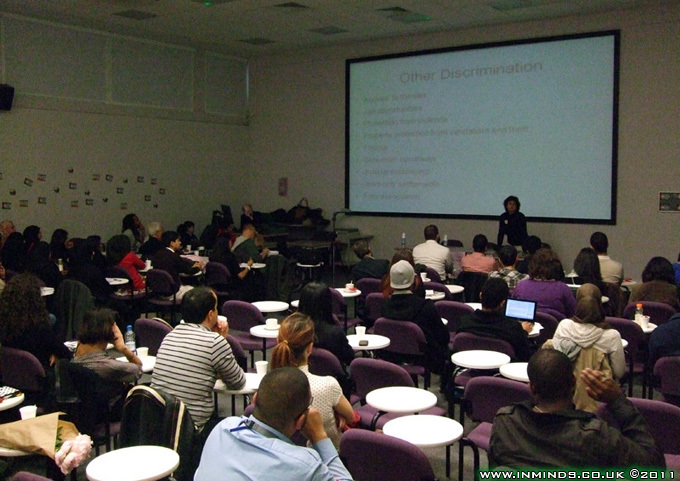 Her talk titled "Is Israel applying apartheid in the Occupied territories of Palestine ?" 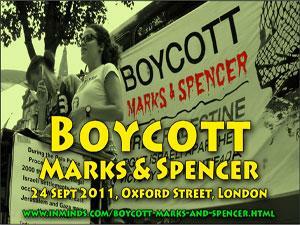 outlined in detail Israel's apartheid policies both in the Occupied Territories and in Israel. 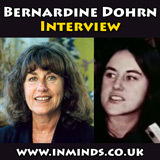 She also spoke of the work 'Friends of Yibna' does. 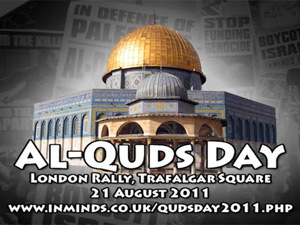 "The aims of Zionism from the beginning was to displace the entire Palestinian population and to occupy that land. And it is this ideology of Zionism, this ideology of imperialism that says people in the West are somehow superior to people with skin that is darker than theirs, this is the ideology that we have to challenge! I remember once I was living with a Palestinian family in East Jerusalem, the Hannun family, and whilst I was living with them they were evicted from their home to make way for settlers to come and live in their home. Now these settlers were not people with Middle-Eastern accents. They were people with American and British accents, people with American and British passports who moved to Jerusalem to steal the home of a Palestinian family who have lived all their lives, who's grandparents have lived their all their lives. Now if this is not apartheid than what is apartheid? If this isn't one race of people imposing their will on another race of people, only for the fact they were born Palestinian then what id apartheid?" 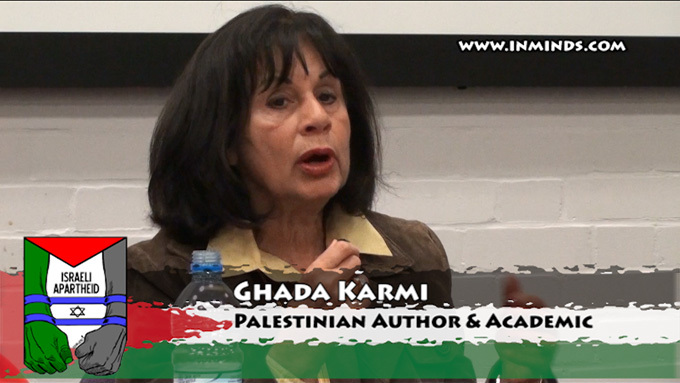 Ghada Karmi, Palestinian author and academic, was the next speaker. 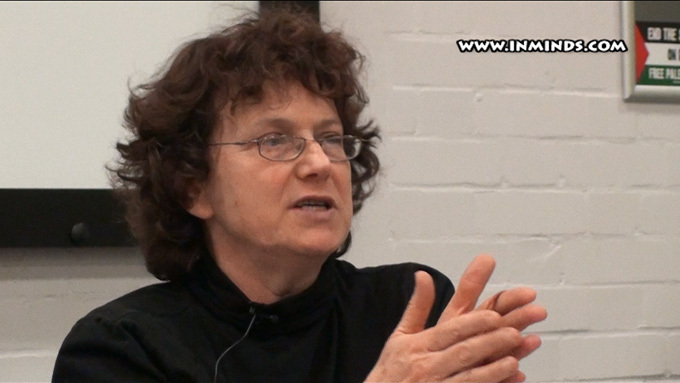 She spoke of the Arab spring - the Arab intifada's sweeping the region. And she spoke of the Palestinian refugees and their right of return to historic Palestine as the core of the Palestinian issue. "I believe the plan to put before the United Nations General Assembly in September a request for the recognition of a Palestinian state in the 1967 territories, I believe this plan is very dangerous for the Palestinian people. And I will explain why. The plan is that the Palestinian Authority would present the United Nations with a request for the General Assembly to consider recognising a Palestinian state in the 1967 territories - that's the West Bank, Gaza and East Jerusalem as the capital. This of course is fraught with problems. before we talk about what it signifies just think of the logistics of that. There is no state like that, and there is no territory that can make that state because half of the territory of the West Bank is taken by Israel. So its a very odd idea. However the Palestinian Authority's thinking was lets get a diplomatic recognition of our right to that 20% of Palestine and then it puts Israel in a very difficult position. At the same time it would also establish a baseline that with so many states had recognised this proposed state of Palestine that its difficult to go back from that position. Now that's perfectly reasonable thinking, I can understand that thinking.. but one has to ask - have they thought further? What does it actually mean? Today we know that 128 states will probably recognise the state of Palestine, you only need two-thirds in the General Assembly to pass a resolution, we probably will get those two-thirds. But what does it mean? Now the Israelis have made a very great drama of this saying that this is the end for them, this is a tsunami, they cant face this, this is terrible, it must never happen. I see through this, this is a put up - fake hysteria because actually it would be quite a good thing for Israel if the Palestinians could be confined to this 1967 type territory. 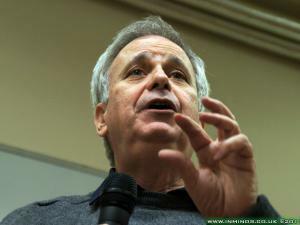 The Israelis have a lot of tricks up their sleeves whereby the state would never really come in to being, but if the Palestinians accept to limit their ambitions to 1967 territories that would be terrific for Israel because its a final recognition that Israel has every right to 78% of Palestine and the refugees will not return to the 78% of Palestine. And therefore the refugees can be forgotten about and everybody can settle down. And as I said Israel will not make it easy for the Palestinians to set up this state even if its recognised by two-thirds of the worlds states. After all if they do recognise it, does it mean anything? Does it? I mean will there be a state? If Israel says I don't agree, will anyone make Israel agree? You know as well as I do, the answer is no! No body will make Israel do what it doesn't want to do. Therefore this is a diplomatic manoeuvre which on the face of it looks as if its advancing the Palestinian cause but actually it will be a way to create a new baseline in which Palestinians like me talking about 1948, and I hope like all of you talking about 1948, will be considered part of the dinosaurs - in the past, we are not up with it, we are not up with modern times. Modern times we must talk about the Palestinian state in the 1967 territories. 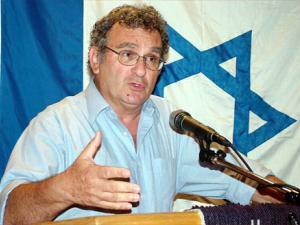 Anybody who believes that an agreement by the world body of two states in which one is a state of Jews - that's Israel, and the other is a Palestinian state, anybody who believes that the right of return which is also a legal right in international law, can be implemented in a state of Jews obviously knows nothing. You cannot implement the right of return in a state which the Palestinians have themselves recognised as a state of Jews. 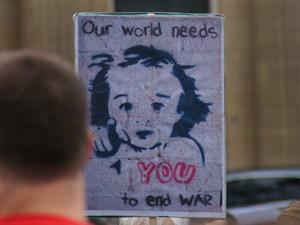 After all what is Israel? 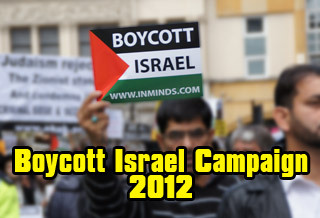 Israel is a state of the Jews, its a Jewish state. How can you expect the Jewish state to take in millions of non-Jews? Of course Israel would be within its right to say well you have recognised us as Israel, and Israel means a Jewish state, thats what it means - so why are you asking us to take in all these non-Jews. I assure you it will be the end of the right of return." "The racism was so extreme that even as an activist I knew that I will never be treated as if I was a Palestinian doing the same thing. 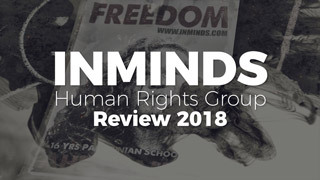 So for example when I went and stood by a Palestinian girl in the Dheisheh refugee camp so the soldier moved his gun from pointing at the girl to me, I knew that it is less likely that we would shoot me, deliberately shoot me - obviously there is possibility of accident, because there would be a far more protracted investigation. It wont be treated as when it was a Palestinian girl - they would just say oh she attacked me and it was self-defence and no body would ask any questions and there would be no investigation. So even at gun point, which I was at a few times, I knew they wouldn't intentionally kill me. 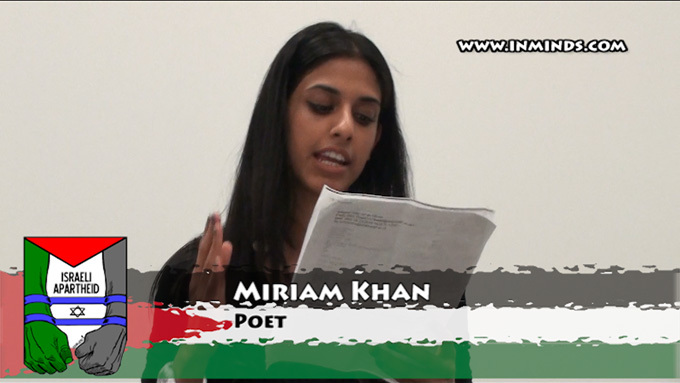 So there is all the time those differences, when I was detained, when I was on trial, I always knew that the system was that I had those privileges because the racism there is so deep, through the courts, the police, at every level.."
The evening was wonderfully concluded with a poem by a young promising poet Miriam Khan. 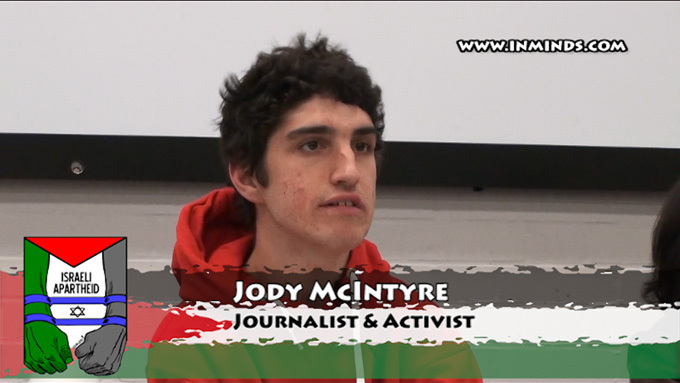 Video: Is Israel applying apartheid?